This lure can catch fish anywhere in the world. Use a long leader on a Floating Line figure of eight or if the fish are deeper use an Intermediate Line. Let the Zonker sink down to where you think the fish are and strip. Rib : Silver or gold fine wire. Beard hackle : Red or orange hackle fibres. Wing : Strip of chinchilla. The body and the beard hackle can be changed to what you fancy! Long shank. 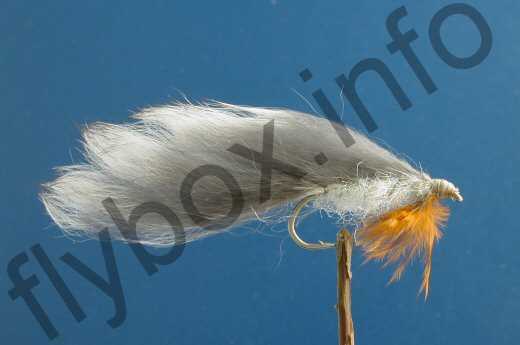 Currently there are no comments about the Chinchilla Zonker fly pattern from other fly fishermen yet.